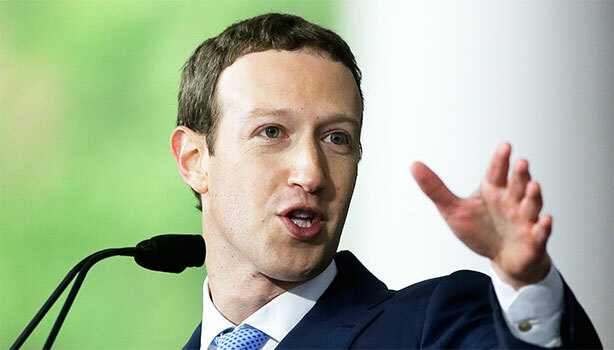 San Francisco: Facebook CEO Mark Zuckerberg's personal challenge for 2018 is to "fix Facebook" when it comes to dealing with abuse and hate, fake news or interference by nation-states on the platform. In a post late Thursday, Zuckerberg said the world feels anxious and divided and Facebook has a lot of work to do when it comes to protect its over 2 billion-strong community. "My personal challenge for 2018 is to focus on fixing these important issues. We won't prevent all mistakes or abuse, but we currently make too many errors enforcing our policies and preventing misuse of our tools. If we're successful this year then we'll end 2018 on a much better trajectory," he posted. "I'm looking forward to bringing groups of experts together to discuss and help work through these topics," he said. The Facebook CEO also said he will "make sure that time spent on Facebook is time well spent". Facebook recently introduced Messenger Kids for under-13 children to video chat and message with family and friends when they can't be together in person. Joining the chorus against the messaging app exclusively for kids from Facebook, British Health Secretary Jeremy Hunt warned the social media giant to stay away from his children. "Facebook told me they would come back with ideas to prevent underage use of their product, but instead they are actively targeting younger children. "Stay away from my kids please Facebook and act responsibly!" Hunt tweeted. Rolled out in the US for the moment, Messenger Kids is a stand-alone app that will be available on kids' tablets or smartphones but can be controlled from a parent's Facebook account. "Not sure this is the right direction at all," Hunt tweeted. Britain recently said it will set the minimum standards for the content for younger users that social media giants, including Facebook and Twitter, have on their platform.